In this week's Sports Geek Podcast we have a good chat with Christine Stoffel from SEAT about SEAT Conference and announce SEAT Conference as presenting partner of the Sports Geek Podcast, we look forward to seeing you in Kansas City in August. On HarfTime we discuss the darker side of Twitter where fans can get very ugly as we take a look at some of the abuse newly crowned Marion Bartoli received this week. 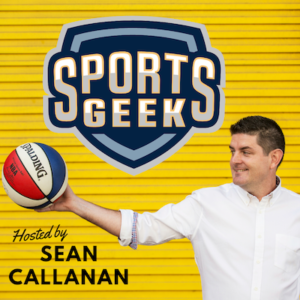 Thanks again for the feedback, very humbled to see Sports Geek Podcast to see over 2500 downloads so far. If you have shared it with friends or colleagues thank you very much. Why did it take so long for Manchester United to join Twitter? Dwight Howard can't say I'm going to Houston in under 140 characters.